This Pioneer ornate photo album holds up to 200 photos of the special day! Each page features two archival, horizontal 4x6" photo pockets, with space for notes beside each pocket. 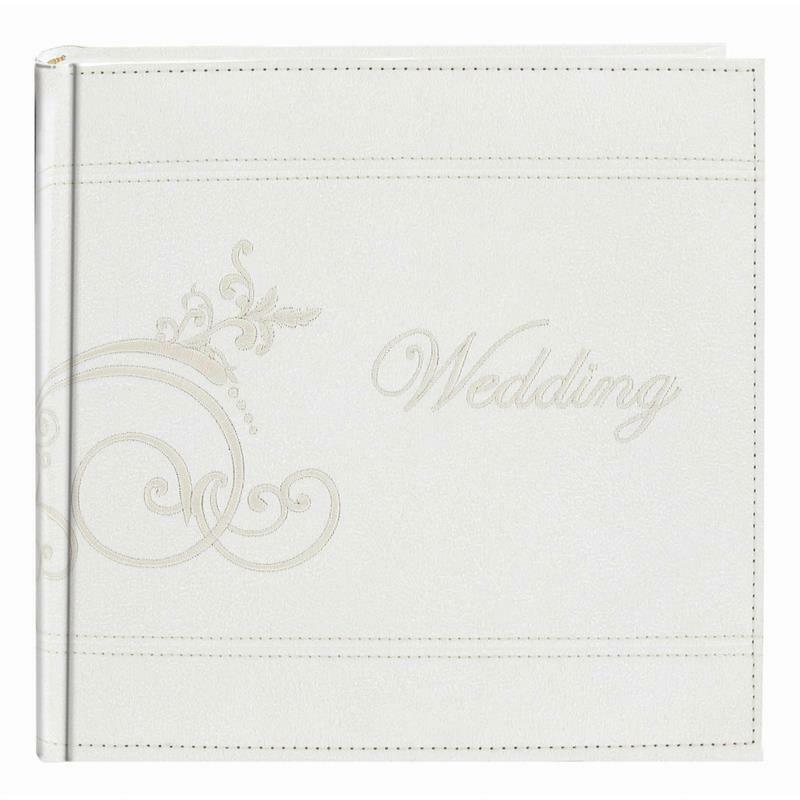 White embroidered scrollwork flourishes from the spine onto each side of the white leatherette cover, and the word "Wedding" is embroidered on the front in an elegant script.